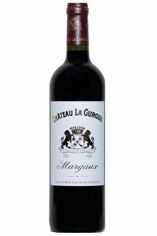 Chateau Gurgue situated in the Bordeaux appellation of Margaux is a Cru Bourgeois estate, that produced a fairly decent wine until the arrival of Bernadette Villars in 1979. Her team was already making waves at Ch. Chasse Spleen. 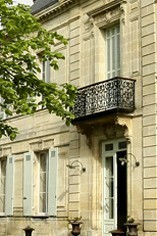 This transformation of the Chateau started with the introduction of modern equipment, and the replanting of old plots. Ten years later fifty great wine tasters, reunited for the "Essay on the Margaux style" chose it as one of the ten benchmark Margaux wines, together with eight Grands Crus Classés and one Cru Bourgeois. Its proximity to Chateau Margaux, means that it shares many of the terroir characteristics of its illustrious neighboursuch as deep gravel soil, which provides good drainage. Harvesting is performed manually. The vineyard composition is 70% Cabernet Sauvignon and 30% Merlot. An awful name, but a brilliant wine! Made by the lovely Claire Villars of the brilliant Ch. Haut-Bages Liberal, this is soft, yielding, perfumed and very Margaux. A very charming, classy drop that should come in at an attractive price.